Stress hits us all, at all levels of life and for each of us in different ways for many different things. In the fire service and in life, there is no hiding from stress but it's not how we experience the stress but more of how we handle managing the stress. We all have it in some facet of our life. We have families, a home, a job and because of this stress plays a role in how we take care of these areas. As firefighters and emergency service personnel we experience added stress that comes with the job. I'm not saying other jobs don't have their stressors but in the emergency services, the type of stressors and levels of stress is different. It's been said in this line of work we don't take our work home as opposed to those in certain areas of Corporate America however, all emergency service personnel will take their work home; mentally. What is their work you ask? It's the calls that stick with us after we get back to the station. Every call we go on, no matter it's severity can play a role in our stress level. Stress affects each of us differently and what affects one may not affect another. Myself personally, I have been known to stress at times over something I've experienced and over time have learned that it's ok to get help for that and speak to someone about it. Without getting into personal experiences of what stress has done, reaching out and getting help in reality does help. I've also learned to find outlets to combat stress levels. Well for starters, stress is your body's way of responding to any kind of demand or threat. Once your body senses this, it will go into what we know as "fight or flight" mode to react to the stress. During this response, the body will have an increased heart rate, quick breaths, muscle tightness and a higher blood pressure. So how do we combat stress? Here are 5 ways to combat and help lower stress levels. Just breathe. Slowly inhale through your nose and exhale out your mouth. Try this for about 5 min. Decompress. Use a foam roller and massage the tension away. Exercise. This helps the brain release feel-good chemicals and by giving your body a chance to practice dealing with stress. This can be done by taking a walk, weight training and yoga just to name a few. Reach out. Don’t be ashamed to ask for help and to get help from others. The next time you feel stress about the job, a coworker, something going on in your life, try these examples and don’t let stress take a hold of your life and service to others. Heart Disease is the leading cause of death of both men and women in the United States. It’s also one the leading causes of death in firefighters and for more than 1 reason. However, in this article we are discussing it with its link to cholesterol. So what is cholesterol and what does it due to our bodies? For starters, cholesterol is a fat found in your blood that is developed in the liver but your body can also receive it from meat, fish, eggs, butter, cheese, and whole or low-fat milk. Everyone needs some cholesterol in their bodies in order to function properly such as your brain, skin and bodily organs. What cholesterol is doing for your body is acting a building block for your cells as well as helping repair damaged cells especially ones found in the blood vessels and the dietary tract. If cholesterol is helping your body, why is it bad? Well, foodhigh in additives, preservatives and other toxic processes will cause cells to become damaged and are most likely found in refined and processed carbohydrates. This will cause the cholesterol to flow around the blood and eventually cling onto the walls of your blood vessels, thus causing the vessels to become narrower as time goes on eventually clogging the vessels. A clogged vessel does not allow for proper blood flow through the vessel potentially causing a heart attack (lack of oxygen-rich blood)or stroke (decreased blood flow to thebrain) to name a few. To be on top of our game and have long lasting career and life, we can as firefighters help ourselves and families to help improve our cholesterol levels. i. Saturated fats, founds in red meat and dairy will raise your total cholesterol levels and low-density lipoprotein (LDL) also known as “bad” cholesterol. Rule of thumb: 7% or less of your daily caloric intake should be from saturated fats. ii. Leaner cuts of meat such as London broil, top sirloin, chicken breast, 96% lean ground beef and pork tenderloin are other healthier options along with low-fat dairy and monounsaturated fats which is found in olive and canola oils. i. Trans fats affect cholesterol levels by increasing LDL levels (“bad”) and lowering the (“good”) HDL levels. Trans fats can be found in fried foods and many processed foods such as cookies, crackers and snack cakes. In the U.S., food containing less than 0.5 grams of trans fat per serving is consider “trans fat-free”. i. Omega-3’s don’t have an effect on LDL cholesterol (“bad”) however it does have heart benefits. Some benefits omega-3 has are helping to increase high-density lipoprotein (HDL or “good”), reducing triglycerides (type of fat in blood) and reduces blood pressure. ii. Types of fish rich in omega-3 are salmon, mackerel and herring. Other good sources include krill oil, walnuts and almonds. i. There are 2 types of fiber – soluble and insoluble. Although both have heart-health benefits, soluble fiber also helps to lower your LDL (“bad”) cholesterol and all you’ll need to do is all a little more fiber to your diet. ii. High in fiber foods are oats, fruits, beans, lentils and vegetables. i. Whey protein given as a supplement according to studies has shown to lower both LDL and total cholesterol. So if you’re in the gym, at home or in the firehouse working out and GETTING AFTER IT, don’t forget to include whey protein in your diet. i. Exercise has been known to improve cholesterol especially help raise HDL (“good”) cholesterol. Before engaging in any physical activities, please consult with your physician beforehand. If you want a long, healthy and prosperous career and a long life with your family your health comes first. Protecting the front lines and take care of our own comes above all else. Please remember to consult with your physician before looking into any of these recommendations as this is for informational purposes. NICHOLAS J. HIGGINS is a firefighter with 16 years in the fire service in Piscataway, NJ, a NJ State certified level 2 fire instructor and a State of New Jersey Advocate for the National Fallen Firefighter’s Foundation. A martial arts practitioner in Taekwondo, Brazilian Jiu Jitsu and Muay Thai as well as a former collegiate athlete in baseball, Nick is a National Exercise & Sports Trainer Association Battle Ropes Instructor and studying for the Functional Fitness Instructor certification. He holds a B.S. in Accounting from Kean University and is the founder/contributor of the Firehouse Tribune website. Being an avid fitness enthusiast along with multiple fitness certifications, I tend to train numerous times a week with a focus of challenging my body and mind each workout. I tend to focus on overall strength so I’m prepared for the demands of the job at any given notice and also be in the best shape I can be in the process. One of the best overall tests of core strength is the deadlift. We will talk more about what the core consists of and way it is vital to keep this area strong and healthy especially as firefighters. As firefighters, wearing added pounds of PPE, an SCBA and carrying tools or stretching a hose line are all part of the job. As functional athletes, good posture is important for us to maintain effective and physically strong in the firehouse allowing us to complete our tasks. Unfortunately, the weight of our gear, tools and airpack put a strain on our back, shoulders and affect our posture which could develop into long term issues down the road. One way we can maintain a good, healthy posture and strength our core, body and maintain proper balance is by focusing on deadlifting. I know what you’re probably thinking, “I’m not a power lifter. 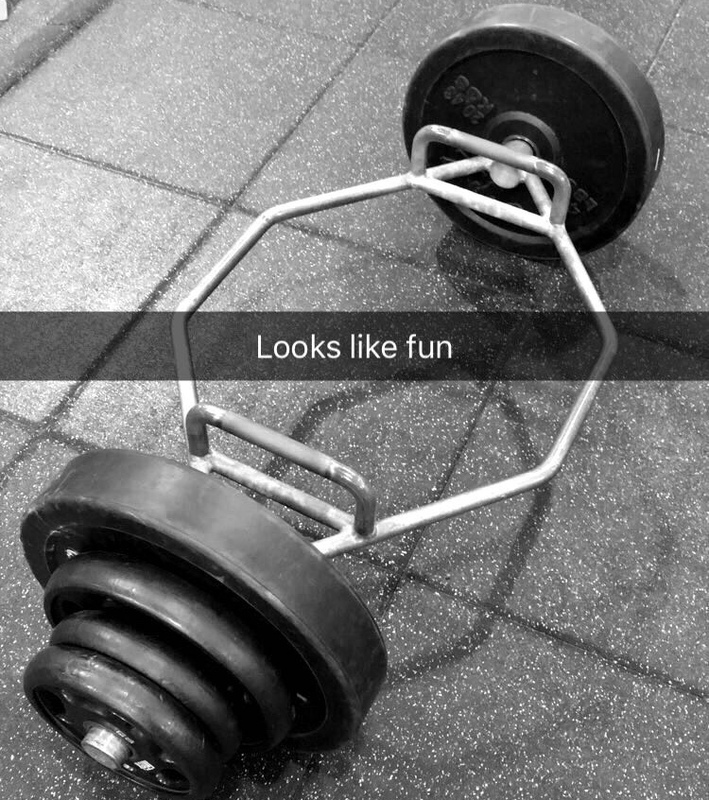 I don’t need to do deadlifts”. On the contrary, deadlifts are not just for power lifters. Deadlifting plays a great role in developing core strength and practical enough to help in your everyday life especially as functional athletes on the fire ground. As mentioned deadlifting are effective for strengthening your core muscles, which are made up of the central muscles of your body. The muscles that make up the core are your lower back, glutes and abdominal region. All of these muscles in unison will engaged when performing a deadlift. As a functional athlete and in order to generate maximum power due to the physicality of the job, mostly all movements require the stabilization of your core muscles. In order for your extremities to generate maximum force, you must have stable core muscles. As firefighters we are frequently required to perform physical labor, from stretching hose lines, raising ground ladders, forcing doors and pulling ceilings. All aspects of using our core muscles. By performing deadlifts, this will develop the muscles and the movements involved in many forms of firefighting. Normally deadlifting involves lifting heavy weights and therefore they help you develop a strong grip, which is also associated with many physical tasks of firefighting. When executing a deadlift it is imperative to know your glutes, hamstring and spinal erectors are the primary muscles engaged. However, should you do a knee-bent deadlift I will now engage in using your quadriceps. All the more reason to deadlifts. It is to be noted deadlifts are intense and require the use your entire body. As such, it is vitally important to warm up thoroughly before engaging in heavier weight lifting. To avoid injury, keep your back straight as you lift, and push with your thighs. Always consult with your physician before getting into physical activities while recovering from any injury or surgery. It may not be the best treatment option after an injury or surgery or may be limited to particular modalities. One of our biggest excuses for lack of exercise is simple, it’s lack of time. Most of our time is spent working, sleeping, family obligations and friends. Very rarely do people say they have or make time for exercise, which in our profession is very unfortunate since as we’ve said in numerous posts thus far, we are “functional athletes” and need to behave, think and train like one; mentality and physically. In order to enjoy our life, our family, friends, combat the stress of the job and continue to feel healthy for the long haul, exercise is essential to this and what I am sharing with you all today is the 10 min work out you can do at home, in the gym, on the go and even in the firehouse alone or with your crew. According to the Department of Health and Human Services, it is recommended to have at least 150 minutes of moderate aerobic pace exercise or 75 minutes of vigorous exercise per week. Depending on how hard you work out that will equate to 21 minutes per day of moderate aerobic pace exercise or 11 minutes per day of vigorous exercise. 1. Jogging: This is great for cardiovascular health, lowering your blood pressure and cholesterol and is known to decrease the risk of osteoporosis. The American Council on Exercise states that an individual weighing 180lbs can burn up to 170 calories by taking a 10min jog. 2. High Intensity Interval Training (HIIT): This is my personal favorite and although it burns calories and fat quickly, it is not recommended for beginners. HIIT is a form of interval training and cardiovascular exercise training alternating short periods of intense anaerobic exercise with less intense recovery periods. This type of workout will challenge your cardiovascular system more than jogging along with added benefits such as increasing your metabolism, improves cholesterol profile and increases insulin sensitivity. A bodyweight HIIT Workout would look something like this: 50 sit-ups, 40 jump squats (or body squats), 30 pushups, 20 split jumps, 10 triceps dips, as many burpees as possible in 30 seconds. You will take a 30 second rest between each exercise in order to perform each exercise with 100% effort. 3. Circuit Training: This a great strength training workout due to strength training .Generally strength training requires rest periods between sets for muscle recovery however with circuit training uses antagonistic muscles (when one muscle contracts, the other relaxes, i.e. biceps and triceps) allowing for shorter rest periods An example of this would be as follows: 3 sets of 10 reps.
4. Jump Rope: Jumping rope can burn more than 10 calories in a minute and a great way for overall body toning. Here is a quick jump rope workout you can do anywhere. 60 seconds regular jump, 60 seconds rope side to side, 60 seconds single leg (left), 60 seconds single leg (right). The goal is to do this routine non-stop for 2 rounds. If you are new to this, do regular jumps for 60 seconds for 4 rounds with 30 second rests. For the single leg jumps, start with the weaker or less dominant side first. So, there you have it. Four different workouts we can do any time, any where for overall health. Incorporate these into your daily life will have you feeling healthier, stronger and battle ready to perform when the alarm goes off. Please note: Always consult with your physician before getting into physical activities while recovering from any injury or surgery. It may not be the best treatment option after an injury or surgery or may be limited to particular modalities. Until next time: work hard, stay safe & live inspired. NICHOLAS J. HIGGINS is a firefighter with 16 years in the fire service in Piscataway, NJ as well as NJ State certified level 2 fire instructor and currently a State of New Jersey Advocate for the National Fallen Firefighter’s Foundation. He has also been elected as a township elected District Fire Commissioner for 1 term (3 years) in Piscataway, NJ from 2008-2011. A blue belt in taekwondo and former collegiate athlete, Nick is currently studying to complete his certification as a TRX Instructor and a Battle Ropes Instructor. He holds a B.S. in Accounting from Kean University and is the founder/contributor of the Firehouse Tribune website.